On 12.9.2018 I wrote to Astro stating that kids shut down from learning to read as a result of being confused. On 13.9.2018 (exactly a month ago) I wrote and complained about one of Astro’s programmes that I know will cause kids to shut down from learning to read. Many scientists and educators around the world have always said that it is not the kids who are at fault but it is the teachers. However, no one has ever said why smart kids who excel in Mathematics and other subjects fail to read in English. I am the first person in the world to challenge the more-than-35-year-old theory (as of 2010) that states that phonological awareness deficit is the cause of kids being unable to read. That theory has now been debunked. I wrote to Astro and to the establishment in the UK who produce the particular programme to remove that programme. Astro has asked me to refer the matter to BabyTV to whom I had already written after writing to Astro. I received an email from BabyTV stating that there is nothing wrong with their programme and that I should write to them directly and not to their distributors. 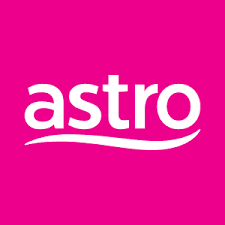 The programme is distributed to more than 100 countries and Astro is one of them. This is going to be a long drawn out battle. Not to worry, as you all are aware, I am used to these long drawn out battles. However, in this case I want Astro to remove the programme first as otherwise many kids predisposed to shutting down will shut down from learning to read and then our education department will call them stupid, lazy or dyslexic. I hope to get all your support to bring this up with YB Gobind Singh Deo in addition to Astro. Someone should also try to get to Dr.Maszlee Malik who does not appear to read emails sent to him. I will post all my emails to and from Astro and to BabyTV in the next few days. my kids grow up watching these kind of programme u say ‘phonics’ is taught wrongly, and they turn out just fine as young adult. I have written in many of my posts that about 30% of kids predisposed to shutting down will shut down when things they learn do not make sense. You are fortunate that your kids fall into the 70%. This programme is teaching phonemes wrongly - do you or don't you agree? Do you want something that is wrong to be continued to be aired? Wish you and your children well.